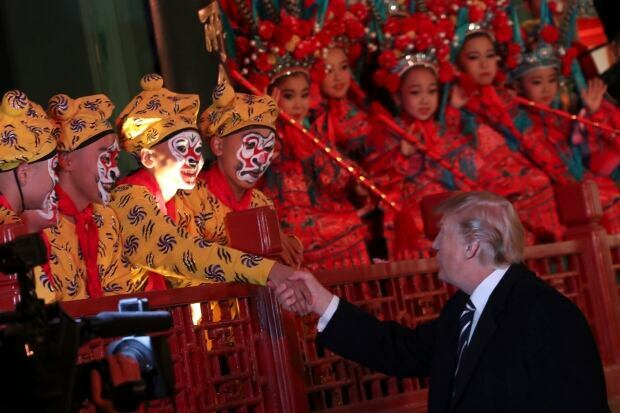 Welcomed to China with an outsized dose of pomp and pageantry, U.S. President Donald Trump pronounced himself wowed by Beijing’s lavish greeting Wednesday at the start of a two-day visit in which he aims to employ flattery, scolding and cajolery to press the rising Asian power on trade and North Korea. 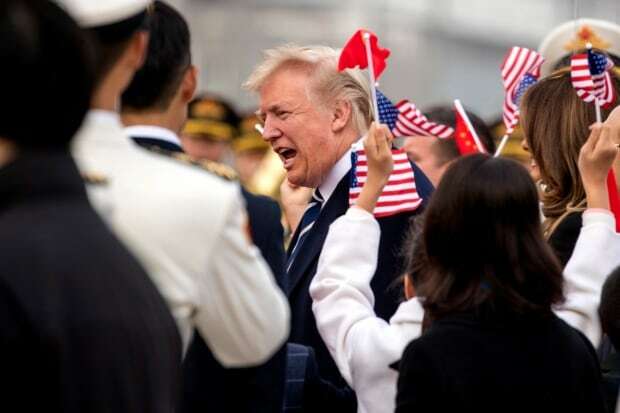 Trump, saddled with consistently low approval ratings at home, is duelling with a newly emboldened Chinese President Xi Jinping, who recently consolidated power. The American president’s every utterance will be studied by allies anxious to see if his inward-looking “America First” mantra could cede power in the region to China. 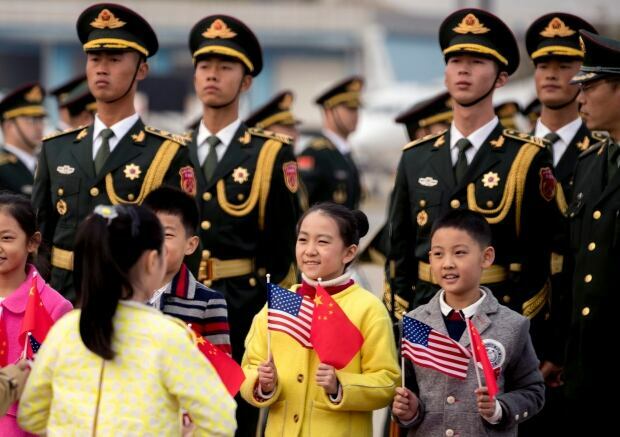 A visit sure to include tough negotiations on multiple policy fronts began with a full display of diplomatic niceties: The president and first lady Melania Trump were greeted at the airport by dozens of children who waved U.S. and Chinese flags and jumped up and down. 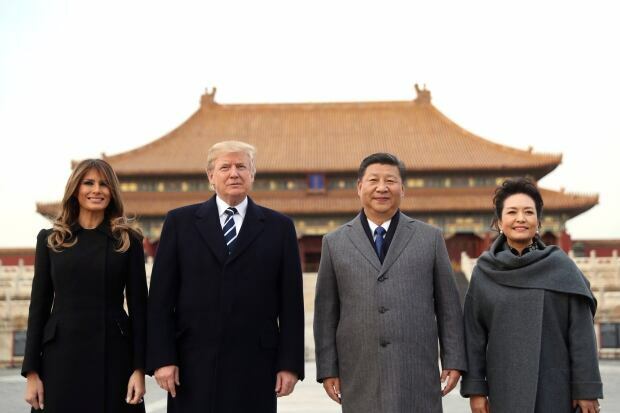 The couple sipped tea with Xi and his wife, Peng Liyuan, and received a private tour of the historic Forbidden City — Beijing’s ancient imperial palace — including a performance by young opera students before dinner. “You cannot support, you cannot supply, you cannot accept,” he said, calling on “every nation, including China and Russia,” to fully implement recent UN Security Council resolutions on North Korea. Trump talked tough during his campaign about fixing American’s trade relationship with China and labeling it a “currency manipulator.” But he has signalled that he would take it easy on Beijing if it will help with the nuclear threat from North Korea. “For Trump, Xi is wish fulfilment: ‘I wish I could be as powerful as that guy!”‘ Nathan said.